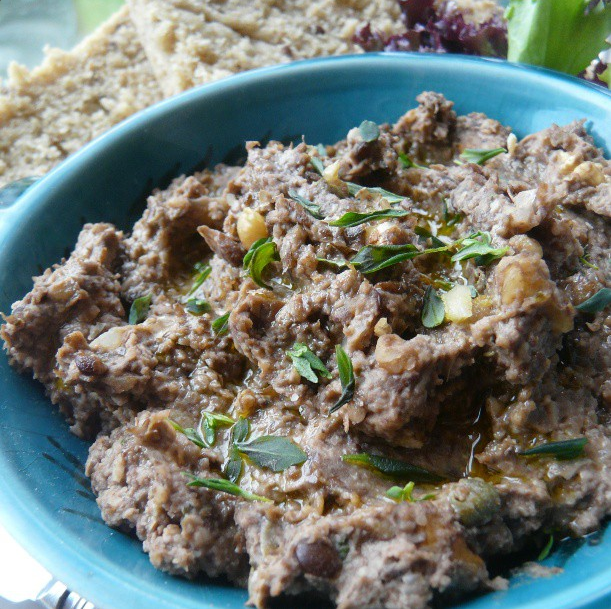 Lentil, mushroom and walnut pate. A simple homemade pate recipe that’s not too fatty tasting like some pate’s. This pate boasts a real deep savory flavour and is great on toast, in sandwiches or on crackers. Me and the BF have gone through two batches of this in the past two days…. its shameful but true. I also took some of this to a vegan meet up with some homemade bread and it was a hit! With little effort you too can have a great lil’ spread to serve with a cracker plate, maybe with some homemade cashew cheese or… well vegan versions of what ever you used to put on crackers, you know just because you can! Fry the onion in the oil until softened, add the garlic and saute for one minute more, or until the garlic is fragrant, add the mushrooms and saute until tender and softened. Add the remaining ingredients and cook for another 5 minutes or so, just until everything is well combined and heated through. Allow to cool to room temp. Remove the bay leafs and puree in a food processor until almost completely smooth (or completely smooth if you don’t like chunks) and serve with nice bread or crackers. Top with extra thyme and chopped walnuts. 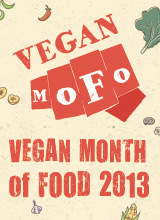 This entry was posted in side dishes, snacks and appertisers and tagged food, recipe, vegan. Bookmark the permalink. Flippin heck this stuff is good! I slightly varied it by using roasted portobello mushrooms cos thats what I had in. Very good though I don’t think it will last the day! Thank you for your wonderful recipes xxxxx we heart your blog! Thanks Jacqui, I love portabellos too. This works with any mushroom that has a strong savory flavour. I’m gonna try it with roasted portabellos now that yourve siad that 😀 sounds nom! I may or may not have made this today and eaten it all! I used portobello mushrooms as well because they’re my favourite. My god, so, so delicious. I can totally see how you would have gobbled this up so quickly…. I might go through a batch all by myself! Where might one find “mushroom ketchup” and would regular ketchup be a good replacement? Regular ketchup is completly different, maybe use some strong miso broth or something else with a strong savory flavour. I got mine in the supermarket section where the dried mushrooms and harrisa was along with other speciality pantry ingredients.